Being prosecuted for a criminal or traffic offence can be a nerve-wracking experience. You may be unfamiliar with the process, unsure of the best way forward and concerned about the outcome. 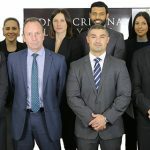 But whether you are charged with a less-serious matter such as drug possession, drink driving or common assault, or accused of something as serious as commercial drug supply, complex fraud, robbery, GBH or murder, here are a list of reasons to consider choosing the Criminal Defence Firm of the Year in Australia to help you achieve the best possible result. Sydney Criminal Lawyers® consistently achieves outcomes which are in the highest percentile of the Judicial Commission’s sentencing statistics for criminal cases. Our legal team devises effective case-strategies and fights hard to have cases dropped entirely or charges downgraded – saving clients the time, expense and stress of a defended hearing or jury trial. Where cases nevertheless proceed, our lawyers have an outstanding track record of winning defended Local Court hearings, and complex jury trials in the District and Supreme Courts. We have the best client review record of any law firm in Australia. We are the only law firm in the nation to maintain a 5.0 Google customer rating over more than 300 client reviews. Regular communication, accessibility and quality service are our team’s highest priorities. 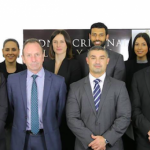 We are committed to thoroughly explaining all steps involved in the criminal law process, providing regular updates throughout the proceedings, and making ourselves accessible and responsive. Here are some of our client testimonials. 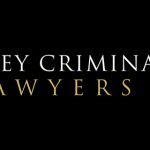 We have received more awards and accolades than any other criminal law firm in Australia. Our team has been awarded “Criminal Defence Firm of the Year in Australia” in a number of prestigious and competitive awards programs for several years running. The awards recognise our exceptional track record of results, our outstanding client service, the high level of satisfaction we achieve, the affordability of our services and our overall excellence. Here are some of our awards, accolades and memberships. We want our clients to know exactly how much their cases will cost from the very start. That’s why we were the first criminal law firm in Australia to publish ‘fixed fees’, back in 2004. We offer fixed fees for most types of criminal cases and services. Here is a link to our fixed fees page. For those who are going to court, we offer a free first conference of up to an hour with one of our Senior Criminal Defence Lawyers. 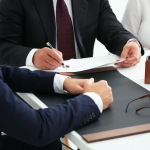 We also offer a free first conference to those who have received an unsatisfactory result after being represented in court by another law firm, or after representing themselves, and wish to appeal. We guarantee that only lawyers with substantial criminal defence experience will work on your case and appear for you in court. This ensures our clients receive the highest quality representation from an experienced, specialist criminal lawyer. From Bombala to Broken Hill, our lawyers appear in courts throughout New South Wales – and across Australia for Commonwealth cases. And we offer fixed fees for most criminal and traffic law cases throughout the state. 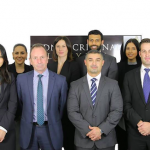 Our entire firm is exclusively dedicated to criminal law – which makes us true specialists. All of our lawyers have years of experience representing clients in criminal cases, and our principal has been certified by the Law Society of NSW as an Accredited Criminal Law Specialist since 2005. An ‘Accredited Specialist’ is a lawyer who has practised for at least 5 years in a particular field of law (such as criminal law), has passed a rigorous assessment process conducted by the Law Society of NSW, and has been selected by the Specialist Accreditation Committee of the Law Society as an expert in the field. Accredited Specialists are required to undertake more training each year than other lawyers and must be successful in having their accreditation renewed every year. Specialist Accreditation is the mark of a true specialist. Our team is passionate about achieving results, and unlike many other law firms, our lawyers do not have monthly financial ‘budgets’ to meet. The absence of budgets means our lawyers are entirely focused on achieving optimal results in the shortest space of time; whether by getting charges dropped or downgraded at an early stage or having cases ‘thrown out of court’. Not having budgets also means our lawyers are not under pressure to engage in unscrupulous practices such as unnecessarily adjourning cases or ‘overcharging’ clients – which, sadly, is a common complaint against many other lawyers and law firms. Our clients benefit from the pool of knowledge that only an extensive team of experienced criminal defence lawyers can provide. Our lawyers regularly consult one another to stay ‘ahead of the pack’ in the ever-changing field of criminal law – constantly devising, refining and implementing specialised techniques which ensure our clients achieve the best possible outcomes. A team approach is particularly important when it comes to serious criminal cases such as murder, commercial drug cases, serious and sexual assaults, large-scale fraud, robbery and other ‘indictable’ cases. Each of our lawyers appears in court on a daily basis, and has done so for years. We have therefore been able to develop an understanding of, and rapport with, magistrates and judges in Sydney and indeed across the state. Our team’s extensive experience before the courts ensures your case is tailored to the specific nuances of individual judicial officers, maximising the likelihood of a favourable result. We offer free parking at our Sydney CBD and Liverpool locations, and all three of our offices are close to train stations and bus terminals. What is an ‘Accredited Specialist’? How Do I Find the Right Lawyer in NSW?